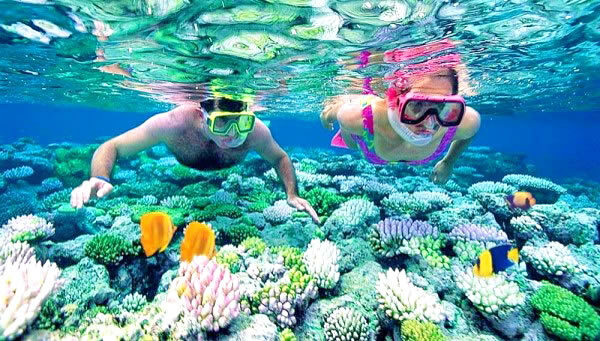 Snorkeling in Maldives is perhaps the easiest way to enjoy the underwater wonders. Maldives snorkeling is a memorable and unique experience. This group of atolls in the Indian Ocean south of India, offer a stunning destination for a snorkel adventure. You don’t need a tank on your back and you don’t need too much diving experience or any scuba diving certifications to be able to discover vibrant coral reefs teeming with tropical marine life. Most snorkelling spots in Maldives are also readily accessible – simply bring your mask, snorkel and fins, and hit the shoreline. The tropical waters around Madives are ideal for snorkelling. Temperatures are an average 27°C, and most sites are calm throughout the year. The best sites for snorkeling in the Maldives are the house reefs. 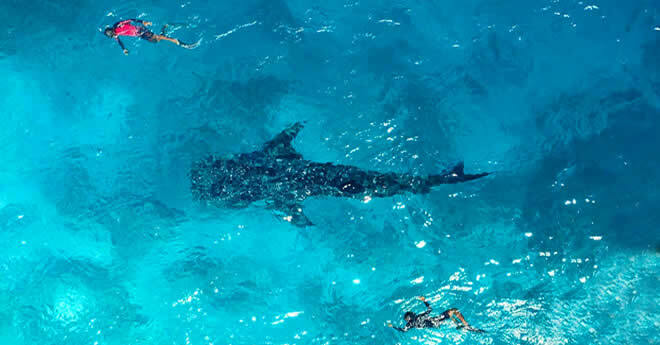 Most resorts the house reef are easily accessible from the shore just few steps into the sea and excellent snorkeling can be found while other resort islands use boats to take you to the edge of the reef where you could experience some brilliant snorkeling. Who can snorkel in the Maldives? Each! Because you have great opportunities for starting and exploring in calm and crystal clear waters. The marine life of the Maldives is a natural and endlessly beautiful aquarium. 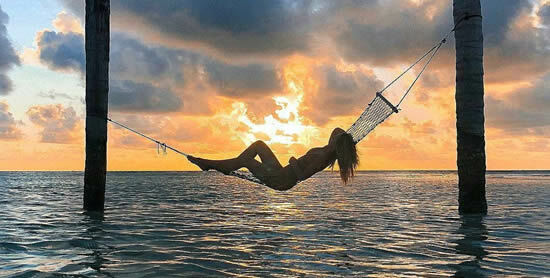 You do not have to swim far and deep to admire the underwater world with all the dazzling wonders of the Indian Ocean. Maldives offers fantastic visibility under water and is surrounded by one of the cleanest waters on earth, with an average annual water temperature of 20 ° -30 ° C, and in lagoons often reaching 32 ° C.
Depending on the resort, snorkelling can wait for you on the threshold of your villa, close to the beaches of this island, or in the lagoon. If you swim like an ax, then just put on a mask, take a few steps to the lagoon and tilt your head into the water ... most likely you'll find some marine life interested in your feet. No waves, no danger, a lot of fun even for the youngest and oldest snorkelers. If this is not the first time, you can safely open the landscapes Maldives' underwater world with a mask, snorkel and fins, and leisurely drifting over the surface of turquoise waters. If you feel like a fish in the water, safely pack your equipment, consisting of a mask, a pair of fins, tubes and, according to the circumstances (physical condition, age, currents), a life jacket. Discover, explore, dive, practice breathing! 1 - next to the house reef around the island. 2 - with an extensive blue lagoon around the whole island. 3 - a cherished dream: the island has a house reef and a crystal clear lagoon. The first option is an ideal choice for a guests. Most islands feature a so-called ‘house reef' close to their shores, where the shallow lagoon precipitously drops off into the deeper ocean waters. The house reef is that area close to the vertical drop off where the coral begins to aggregate in a kind of coral garden teeming with marine life and colorful fish. The shallow water enclosed by the house reef also serves as a large natural swimming pool and protects swimmers from the ocean waves and strong tidal currents outside the reef. The second one is very impressive and inspires dreams of swimming and sailing, but snorkeling only with a boat and maybe even on a nearby island. The third is the marriage of the above and is suitable for everyone and all ages due to a wide range of activities, including water sports, swimming and snorkeling right from the beach. Virtually everything. The vibrant variety of marine species is too massive to be listed on one page. Of the world's more than 500 species of coral, more than 70 are present in the Maldives' reef systems. But in a few days, you will come across or see from afar the dolphins, rays, reef sharks, sea turtles, fantastic coral forms around some house reefs (rare beauty at present), moray eels, napoleons vrasse, reef fish of all colors and sizes, play alone or with schools, macro creatures, squid ... the list can be endless. Mantas and whale sharks often move into snorkeling-depth waters in the late summer and fall months. The resorts with a house reef will often have dramatic drop off, the kingdom of thousands of sea creatures and various coral formations you've even seen. In large areas of shallow water, expect to find many small and sometimes larger, creatures. It all depends on luck and time of day. Remember: who is looking for, he will always find! Snorkeling in Maldives is one of the best ways of discovering the hidden world of underwater right over the shallow reefs. Although the lagoons around Maldivian islands tend to be shallow and clear, some considerations should be taken for both your own health and safety as well as that of the reef system. 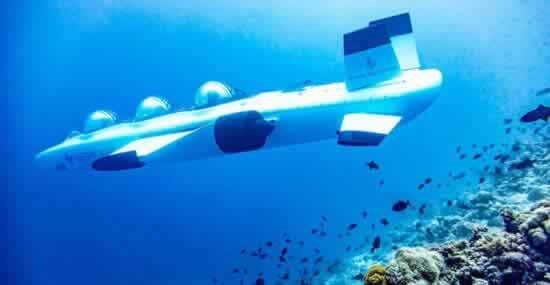 Almost all of the Resorts in Maldives have their own dive school offering snorkeling equipments to tourists. You can either buy your equipments or take it on rental basis. 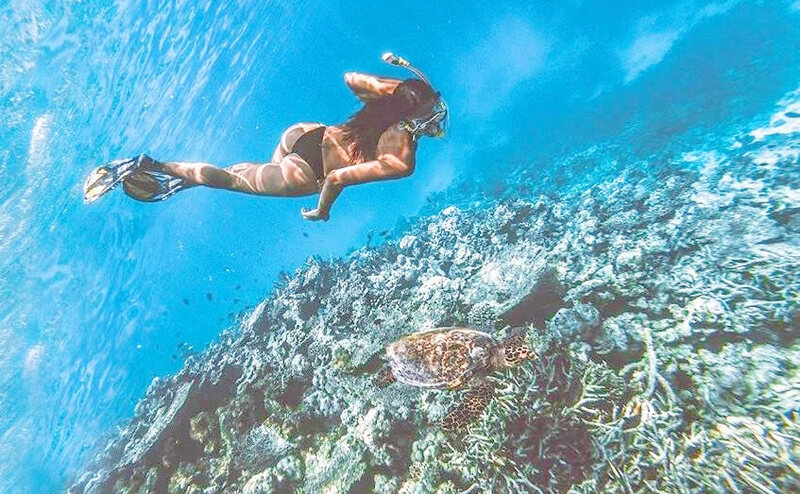 These dive schools take travelers on snorkeling trip to different reefs to appreciate the vibrant and contrasting aquatic life. - While buying a mask or taking on rental basis, select only that mask which fits to your face tightly. Examine snorkeling mask by wearing it without the strap. If the mask fits your face tightly without falling, then the mask is suitable for snorkeling. - While snorkeling, it should be recommended to wear only those pair of fins, which give comfort. - Before going on snorkeling adventure, check your equipments that whether they are intact or not. - It is advisable to snorkel in the present of instructor or fellow snorkels. - Grab knowledge of the ideal snorkeling site in Maldives and how to access them. - Know the weather and tidal current beforehand to avoid any unprecedented danger. - The Maldives are very close to the equator. Use waterproof sunscreen to protect your skin against ultraviolet rays. - Do not go inside the holes in the reef, it could turn out to be a den of a moray eel. Extreme care should be taken while entering the underwater world. - Do not step in to coral formation.